2018 Top Medical Genetics Dr Victor Vigil - Women's Cancer and Surgical Care, P.C. 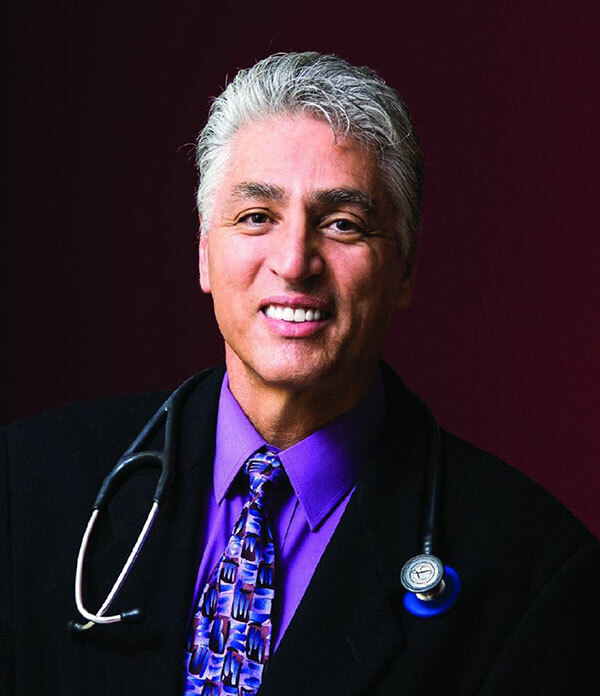 Thank you to Albuquerque The Magazine and everyone who voted for Dr Victor Vigil for TOP “Medical Genetics” in Albuquerque 2018. I had an incredible role model, Dr Jack Saiki. He demonstrated that an oncologist could be intelligent, humanistic and full of compassion. What’s your best tip for day-to-day wellness? How has your field changed since you started? the incredible evolution of our understanding of cancer its treatment and prevention is something that is changing almost day by day. It is fascinating and humbling at the same time. We have had breakthroughs with such diseases as chronic myelogenous leukemia, childhood leukemias, as a as, surgical and radiation therapies. If you could go back to when you were starting in medicine, what advice would you give your younger self? Always remember why you wanted to be a doctor. Be sure not to get cynical. Don’t let the the insurance industry drive you crazy. 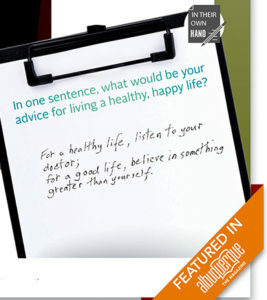 In one sentence, what would be your advice for living a healthy, happy life? 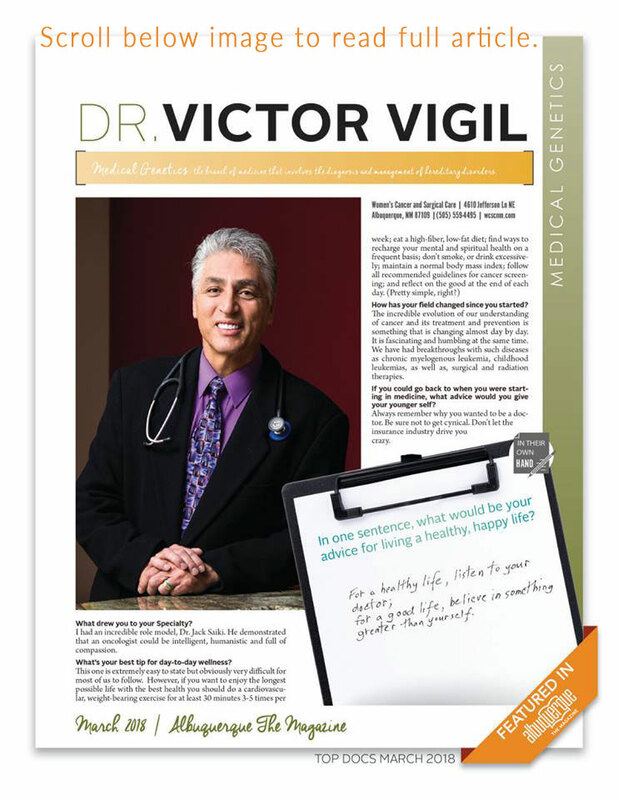 Learn more about Dr Victor Vigil here!